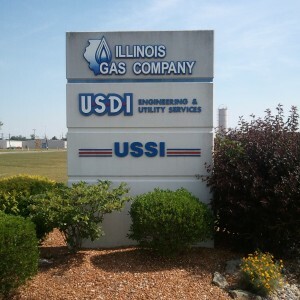 Illinois Gas Company was incorporated in the State of Illinois on August 30, 1916. The primary purpose of the company was to provide natural gas service to residents and commercial business. The first gas meter was purchased on May 21, 1916 and is retained in our offices for display. During the first part of the year 1936 the company was purchased by Arthur S Dewing. Mr. Dewing served in various capacities primarily as CEO/President during his tenancy. He served from 1936 to his death in 1971. Lloyd Morain, husband of Mary S. (Dewing) Morain, daughter of Arthur S Dewing, served as Vice President of Illinois Gas Company from 1950-1971, and as CEO/President of Illinois Gas Company from 1971-1988. Mr. Morain served as SEO/Chairman of the Board of Directors until his death in 2010. In 1978 Mr. Roger C. Avery (grandson of Arthur S Dewing ) became Vice President of Illinois Gas Company. He then became President/CEO of Illinois Gas Company in 1988, in July 2010 Mr. Avery became President/CEO/Chairman of the Board of Directors and continues in this capacity today. Illinois Gas Company provides natural gas service to the communities located in Richland, Lawrence and Jasper Counties in SE Illinois.